The Bank of Ghana (BoG) has announced it is creating the Consolidated Bank Gh. Ltd to take over five struggling banks in the country. Sovereign Bank, Royal Bank, The Beige Bank, Construction Bank and Unibank are the five financial institutions that have run into liquidity challenges. Government has made 450m cedis available for the Consolidated Bank as starting capital and has named Daniel Addo as its CEO. At a press conference in Accra, the Governor of the Bank of Ghana Ernest Addison explained the Sovereign Bank obtained their license under false pretence, an act that could attract criminal charges. The bank, he said, is insolvent. He also said Beige and Construction Banks used fictitious and non-existent capital to obtain licenses. The banks, therefore, obtained licenses under false pretenses. Construction Bank collapses after only a year in operation. It was opened for business in June 2017 becoming the 34th major bank in Ghana. Its CEO, Dr. Asare Akuffo said the company colours, blue represents a commitment to loyalty, honesty, trust, security, and confidence. The green signifies sustainability. But none of these matters now as the bank is absorbed by a megabank, Consolidated Bank Gh Ltd. The newly consolidated bank renders all the affected banks as branches. Unibank has at least 55 branches, Royal Bank had at least 25 branches, Sovereign Bank had four, Beige Bank had 63 while Construction was only starting with one. This makes the Consolidated Bank, a staggering 148 branch bank. It becomes one of the biggest in Ghana. The governor assured clients of the affected banks their deposits are safe. It has also transferred their staff to the Consolidated Bank. "We do not expect any immediate job losses," he said. The BEIGE Bank with Ghanaian ownership began as a microfinance institution in 2008 and transitioned to a saving and loans company in 2012. It was licensed to operate as a bank in 2016 but an 8-year progression ends in July 2018. UniBank Ghana Limited was incorporated in 1997 as a financial service provider and became a bank in 2010. But 8 years into its banking life, the Bank of Ghana dissolved it after the bank’s Capital Adequacy Ratio (CAR) fell below 50% of the required minimum of 10% (i.e. below 5%). The Royal Bank, a wholly Ghanaian owned Company was licensed in July 2011 and began operations on 10th of December 2012. But the bank will not mark its 6th anniversary. Sovereign Bank was granted a licence to operate as a universal bank in January 2016 but by July 2018, it was no longer sovereign. The latest announcement brings to seven, the banks that have collapsed since 2017 after UT bank and Capital bank were dissolved in 2017. The month of August has become the month of bank collapse announcements as UT and Capital banks were taken over on 14, August 2017. Daniel Addo is Executive Director and Chief Business Officer of Oakwood Green Capital Limited. Before this, he was Executive Director of First Atlantic Bank Limited with profit and loss and balance sheet responsibility for the strategic business units. He is an astute and seasoned banker with over 20 years experience, 12 of which have been in senior management positions in core banking. 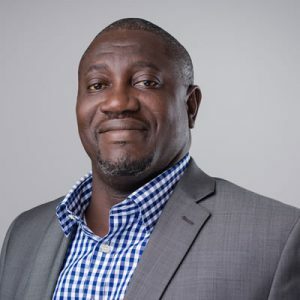 He is a member of the Institute of Chartered Accountants (Ghana) (ICA) with 22 years post qualification experience covering statutory audits, financial and management accounting, and corporate banking. He also holds an MBA (Finance) from the Manchester Business School. Mr Addo's career has seen him excel in various key Management and Executive roles in the last 12 years including CEO of UBA Tanzania where he steered the bank to profitability within 24 months of resumption. He has acquired a vast experience in dealing with policymakers, key industry leaders, and regulatory agencies locally, regionally and internationally. He was also the Executive Director of UBA Ghana Ltd, where he co-steered the bank to unprecedented profitability. He held diverse senior management positions at Standard Chartered and KPMG.